Alhamdulillah. 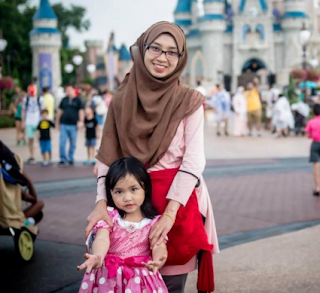 Setakat ni saya berjaya didik ICHA menjadi seorang ‘READER’. Mungkin kerana Icha 24 jam berada bersama saya yang sangat ‘ulat buku’, dan memang sentiasa bergelumang dengan laptop, pen, buku dan kertas, maka ICHA secara automatik dibesarkan dalam suasana cintakan buku. Abah ICHA juga seorang yang suka membaca, maka bonus sebab itu memudahkan kerja saya. Syukur. Storybook pillows yang saya belikan memang menjadi kesayangan ICHA. Masa hari pertama dapat, ICHA buat bantal. Tapi, sebab saya dan abahnya dah ajar yang bantal tu boleh dibaca, seakan menjadi habit ICHA untuk selak dan ‘baca’ bantal2 tu setiap pagi. ICHA akan tunjuk2 gambar pada helaian buku tu dan mulutnya akan mengomel seolah bercerita (penuh intonasi dan penuh perasaan!). Kadang2, buku2 saya mengenai supplement, nutritions, motivations dll tu pun ICHA buat2 baca.. siap tiru aksi malas saya membaca ~ membaca sambil baring! Semoga minat ICHA terhadap buku akan berpanjangan. Jom baca tips nak bagi anak suka membaca! It's never too early to steer your child toward books. But for toddlers, the goal is not to make sure they can read the classics before they're out of preschool. "The phrase to remember is 'developmentally appropriate,'" says Roni Leiderman, associate dean of the Family Center at Nova Southeastern University in Fort Lauderdale, Florida. "Parents often come to me wanting to push academics too much, too fast, too soon. In fact, children learn best through play. Make reading a joyous event for them." Record the moments that matter in your toddler's amazing development. There are many developmentally appropriate — and fun — ways to help your little one learn to love books and stories. And, surprisingly, not all of them involve sitting down with an actual book. "It's not about reading the words," says Leiderman. "At this age it's about learning to love the interaction with Mom, Dad, or a caretaker." When your child sits in your lap as you read aloud, she doesn't just enjoy books, she also enjoys the security of your undivided attention. A regular reading time establishes a calming routine young children love — that's why the bedtime story is a time-honored tradition. But don't forget that many other daily events also provide good reading opportunities. Once in a while try establishing a new ritual with a breakfast story, a bathtub story, a just-home-from-daycare story. Some toddlers (and older children) who are heavy sleepers are much better able to face the day when their parents "read them awake" rather than hustle them out of bed. Toddlers love board books, bathtub books, and pop-up books — any type they can hold easily and manipulate themselves. They love stories accompanied by bright, clear, realistic pictures. And of course they love rhymes. That's not to say your 2-year-old won't appreciate the stories her big brother chooses — who knows, Rocks and Minerals may end up being her favorite book. Just make sure she has access to simpler books as well. Stifle your yawns if you've read The Very Hungry Caterpillar every night for the past month and your child still asks to hear it again. Repetition is a hallmark of the toddler years. "The reason children love to read the same stories over and over and over again is that they're so thirsty to learn," says Leiderman. You'll soon find that your toddler has memorized her favorite passages and is eager to supply key phrases herself — both signs of increasing reading readiness. Lose your inhibitions when you read to your child. Growl like the Papa Bear in Goldilocks, squeak like Piglet in Winnie-the-Pooh. Kids love drama as much as adults do — in fact, your youngster may love to pretend to be the scary wolf in The Three Little Pigs. Encourage her, even if it slows the story's progress. She'll get more out of the story if she's participating actively. Choose books about her favorite activities — visiting the zoo, swimming, playing ball. Back up your kids' favorite videos and TV shows with books about the characters. You may be mystified by the appeal of Teletubbies, but if your child loves the cheery little creatures, she'll love the books about their exploits as well. Follow her lead, but do experiment with a wide variety of books before you decide you know exactly what your child will like. Your little girl who loves dress-up and dolls may, to your surprise, also be the one who asks to hear Godzilla Likes to Roar or Monster Bugs over and over. Even babies like library story-hours, and they're wonderful adventures for toddlers. Your child may well discover a new favorite when it's presented by a beguiling librarian with a soothing voice and perhaps some pictures or puppets to illustrate the action. And, of course, libraries let parents — and kids — try out countless stories without spending a bundle. Many wonderful books exist on cassette or CD. Your toddler may not be interested in them because what she really likes about books is the interaction with you, says pediatrician Laura Jana, a national trainer for Reach Out and Read. But if your toddler does happen to like them, great. She may want to sit with the picture book while she listens to the recording, or you may want to put it on while the two of you do other things. You could also record yourself — or another relative or friend — reading stories. Just remember, says Jana, that recorded stories can't take the place of sitting down together. Don't tell your child she can listen to a story if she finishes her dinner. When reading is associated with systems of reward and punishment, it isn't a positive experience. Instead, pick times to read that feel natural, such as when you want your toddler to quiet down before her nap. Some wiggly youngsters just won't sit still through all of Blueberries for Sal. What to do? "Sit down and leaf through something short for just 30 seconds, and then say, 'Wow, we read this whole book!' Then let them go," says Leiderman. The next day you can try a little longer session. "Some children will always be more interested in motor activities than in reading," she says. "Respect that, and don't make reading a negative experience." If your toddler is the physically active type, she may respond best to the non-book-related activities described below. "Promoting reading readiness is more than reading a traditional book," says Leiderman. While you're at the dinner table or in the car, tell stories — standards like "Goldilocks and the Three Bears" anecdotes from your own childhood, or stories that feature your child as a central character. Make books of your child's drawings or favorite photos, and tell stories about them — or ask her to be the narrator. Wherever you go, you can show your child that words are an important part of everyday life. Even the youngest toddlers quickly learn, for example, that traffic signs say STOP. Alphabet refrigerator magnets are staples in many homes. Other families label objects around the house, such as the shelves that house BLOCKS, DOLLS, and other toys. If your child is in daycare or preschool, slip a daily note into her lunchbox. Even if she can't yet read CAT, seeing the word printed on a piece of paper, along with a drawing or sticker of a cute kitten, will be a high point in her day and help excite her interest in reading. If this seems too ambitious, try drawing a heart or smiley face with a simple "I love you," which will help get your toddler excited about the meaning behind words. Children from families who converse at the dinner table have larger vocabularies, according to researchers at Harvard University. Talk with your toddler, and don't be afraid to use complex words and phrases. Encourage her questions and explanations. Toddlers are curious and wonder endlessly about the world, so don't be shy about trying to explore her interests with her. Your child wants to imitate you. If she sees books all around the house and knows that you like to settle down with one whenever you have a moment to yourself, she'll learn that books are essential to daily life. Modeling your own love of reading is more powerful than making your child sit through a rigid story time. Numerous books have been written for parents who want to nourish a love of reading. Try Jim Trelease's The Read-Aloud Handbook, E.D. Hirsch's Books to Build On, Elizabeth Wilson's Books Children Love, and Bernice Cullinan's Read to Me: Raising Kids Who Love to Read. Wanita Bujang Menyusu Anak Angkat?